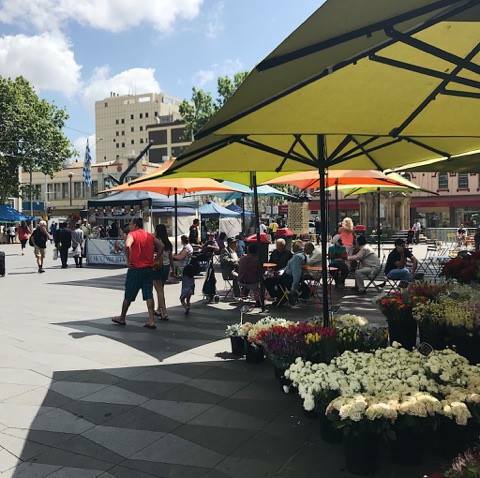 If you live or work in Parramatta, you’ll be familiar with the Farmers Market taking over Centenery Square every Friday at lunch time. While the title of Farmers Market is not fully inclusive of the diversity presented of the products available, this pays hommage to the City’s original food market dating all the way back to would you believe it, 1791. As much as I love to picture Captain Cook digging into a plate of dumplings, the markets back then weren’t quite as diverse. If you live or work in Parramatta and aren’t already familiar with the Farmers Markets, then I suggest it’s time to get off that bootay and treat yourself to the array of delicacies available, and be honest do you really want to be downing another turkey-on-rye sandwich this coming Friday? One of the great things about the Parramatta community is the diversity of culture present throughout the city. The vibrance of the Farmers Market reflects the community at large, with foods including Turkish Gozleme, Phillipino style BBQ skewers, Spanish Paella, Parisian sweets and Asian and Mexican fusion tacos. Damn, that sounds good right? When I recently visited the markets I was overwhelmed by the variety of cuisines, some which you cannot often find in the local Westfield or surrounding shops. But wait, there’s more. If the food itself doesn’t already make you want to stroll out of your office and leave those spreadsheets behind, the market’s atmosphere itself is not to be missed. Located in Centenery Square, you’ll be greeted with live entertainment from local artists to sooth away the melancholy sounds of that office airconditioning. The hard part is deciding what to eat. All the food looked amazing, yet unfortunately the boundaries of my stomach and my wallet only allowed for one dish. I opted for a Spanish paella from Paella Sofrito, because not only is quite rare in my normal dining environment of the shopping mall food court, I could not go past the three giant simmering paella pans, something you only usually see on an episode Rick Stein’s Long Weekends. I had a chat to the stall holders at Sofito Paella about the history of the stall, when they informed me that the head chef was actually Scottish! 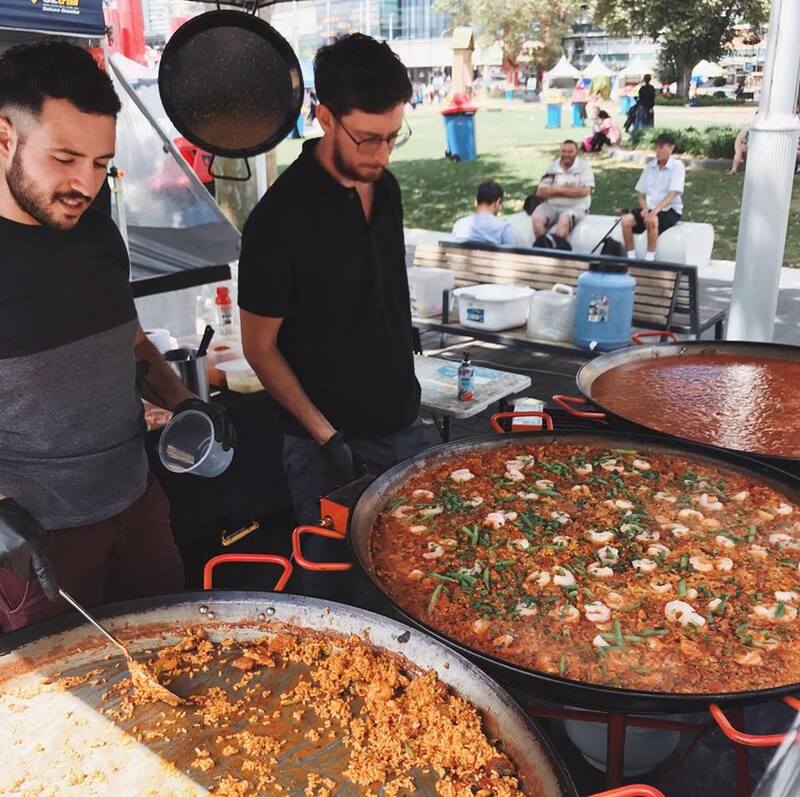 How’s that for diversity.Head Chef Andy Thompson has worked as a chef at the likes of the Hilton and Sheraton Hotels, and was inspired to start a Paella stall in Sydney when visiting the Borough and Portobello markets in London. I myself, have visited these markets in London recently and let me tell you, if anyone would like to start a Halloumi Fries stall in Parramatta, please let me know. Sofrito Paella has been a part of the Parramatta Markets for about two years now, with one of their specials being their mixed seafood and meat Paella. I took away my Paella to enjoy by the fountains of Centenery Square, and I must say, I was impressed. Here at Grounded Space, we’re all about supporting businesses in the local area,so if you want to avoid another turkey-on-rye Friday, then treat yo’self with the diversity that Parramatta’s food scene has to offer.